Building a web presence in today's world is a complicated process… WE LIKE TO KEEP THINGS REALLY SIMPLE. Being a relatively small design studio, we are always contactable, approachable and most importantly we work hard to create the best website solution that delivers real tangible returns. We are not just a design & development company, we are people who understand business and work hard at understanding your requirements to create effective solutions for you. Our creative eye and marketing ingenuity share a single focus — to build meaningful connections between your brand, your business, and your customers. We don’t create for the sake of it. We create to drive sales, build brands, change opinions, cut-through and make big things happen. Our goal is simple: Do great work for great clients that gets great results. 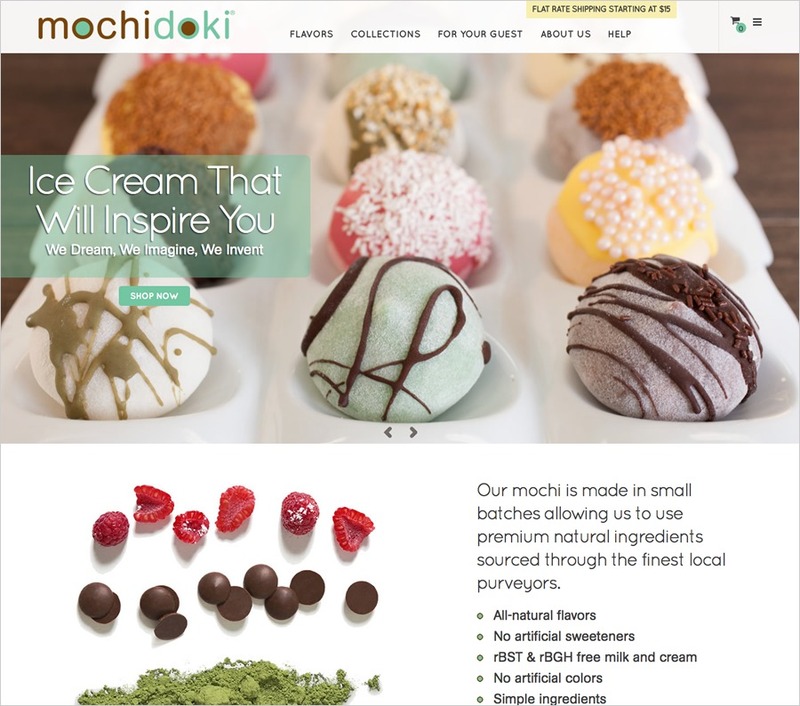 At Mochidoki we are driven to discover new possibilities in frozen desserts. We’ve taken a fresh and modern approach to a traditional Japanese ice cream delicacy and designed a new artisanal delight, crafted with premium ingredients and innovative flavor creations. Our mochi is made in small batches allowing us to use premium natural ingredients sourced through the finest local purveyors.